Outside the Ball and Wimbledon Champion, Garbine Muguruza launch the fourth installment of Fan Challenge! 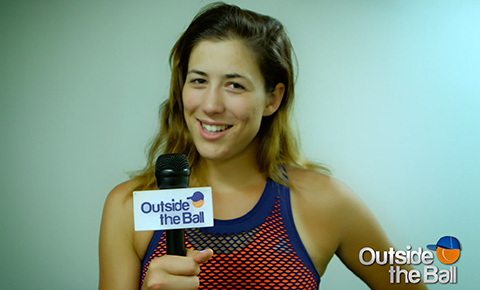 Mugu shares fun facts about herself with host Mayleen Ramey, who then puts fans to the test! How will they do under pressure? Fan Challenges can get very competitive and during this test, even a mother-daughter duo went head-to-head! While Mom was confident Garbine’s favorite fruit was mango, her daughter disagreed. “No no no! No one likes mango!” Her intuition was correct. Muguruza revealed delicious strawberries are her favorite fruit. The trivia fun doesn’t stop there! Play along and try to guess Garbiñe’s favorite Disney movie and more. Previous Fan Challenges, featuring stars Andy Murray, Ana Ivanovic, and Grigor Dimitrov, have been watched over 500,000 times!